No one realizes how much they utilize their neck until they are dealing with neck pain. Moving your head left and right or up and down can cause your neck to tense up and pulsate pain. Just the slightest amount of neck pain can ruin your day. Rather than masking the pain with pain medication, it is time that you invested in chiropractic care that focuses on noninvasive treatments to get to the root of your neck issues. Our team at St. Paul Chiropractic & Natural Medicine Center provides natural neck pain relief to the St. Paul, MN community. The alignment of your spine has a direct impact on the rest of your body, including your neck. Through spinal adjustments and chiropractic manipulations, our chiropractors will focus on a holistic treatment plan that will provide you natural pain relief. Rather than hiding the symptoms with medicine, chiropractic care will help strengthen your neck so that you get rid of this pain long term. Before you decide to go under the knife, make sure you consult a chiropractor from our team at St. Paul Chiropractic & Natural Medicine Center. Our treatment is personalized to fit your every need, without having to use needles or any other surgical methods. In turn, you will recover more quickly and your neck will become stronger. Neck pain can be debilitating over time. Don’t spend your days constantly dealing with neck pain. At St. Paul Chiropractic & Natural Medicine Center, we are a chiropractor in St. Paul who provides treatments for neck pain, including whiplash. 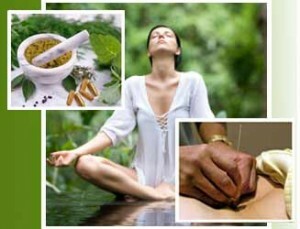 Put away the pain medication once and for all and seek natural pain relief treatment today! Soon you’ll be able to get back to life without neck pain. To request a chiropractic appointment or to learn more about our holistic approach to pain relief, give us a call at (651) 644-7207 or email info@stpaulnaturalhealth.com.